Our Lattice Cowl knits up quickly in either one (for the short version) or two (for the long) skeins of our ultra soft merino bulky. 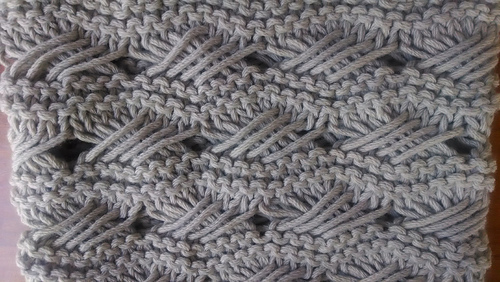 Ridges of alternating Indian Basketweave stitch and Garter stitch create a beautiful texture on this cozy cowl. Worked in the round on circular needles, this is a fast weekend project. 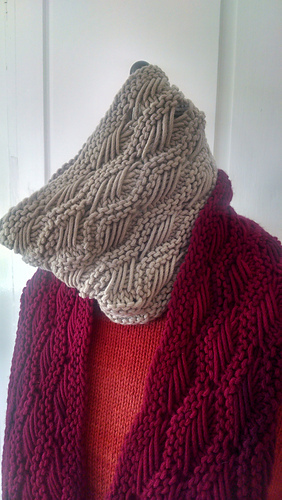 Short version is close fitting, long is large enough to wrap twice around the neck. Shown in Garnet and Oyster.